If main stream designs aren't your taste, perhaps this Vintage Hipster Design is the one for you. 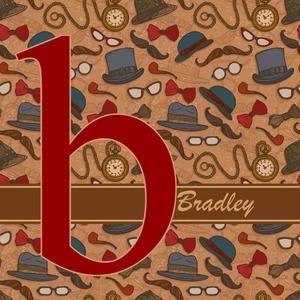 The design is a repeating cascade of hats, mustaches, pocket watches, bow ties, eye glasses, and pipes overlay on top of a two-toned, distressed sketch of same pattern . The primary colors in the design are light and dark brown with accents of red and blue. The design includes a label which can re-colored and an option to put your own name and initial whose color can also be modified.